There is no doubt that there will be a solar power impact on traditional power systems. The question that everyone is trying to figure out is how much impact will there be. What aspect of the system will be impacted? Solar power will impact these parts much differently. The areas of power generation can be broken down in to the following categories: Fuel; Generation; Transmission; and Delivery. We will take a look at each one of these separately assuming two scenarios. Fuel today for electrical power generation depends on sources such as coal, oil, natural gas, nuclear and hydro. Both large solar projects and roof top solar will have an impact on these sources. Solar is really a new source of fuel. Power is virtually free with no impact on the environment. Generation will focus on the lowest costs and the least environmental impact. This means wind power and solar projects combined with existing hydro power dams. Generation from steam generated by burning coal, oil and natural gas will tail off in that order. This change will take place slowly as more and more solar comes online. Transmission systems will still be required. Unless roof top solar and local wind farms really take off. This could still motivate and drive consumers to roof top installations. Large solar projects and wind farm projects will still require long distance transmission systems. Delivery – Delivery will depend on the penetration of roof top solar panels. Local utilities could find that their revenue could drop significantly. However this is still at least a decade away in North America. Roof top solutions are becoming more cost effective. Locations with already high per kilowatt per hour costs will see an impact within the next few years. A solar system calculator is a must when you are considering installing a solar power system. There are many decisions to be made in addition to design and physical installation. 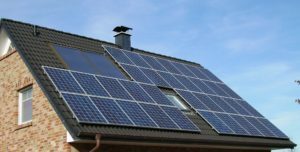 These decisions should be made prior to your decision to purchase or rent a solar power system. Basically consumers what to determine the answers to several questions. Is it better to lease or rent a solar power system compared to buying a solar power system? What factors such as interest rate and other fees will impact the payback period and the overall savings. What is the impact regarding maintenance fees? A good solar power vendor will have a solar system calculator that they can provide to the consumer. These calculators help make the decisions surrounding the purchase and installation of solar power system. Download the app to your smart phones. While others will use a spreadsheet which they can send to the customer. Some sellers may feel that their solar system calculator is a competitive advantage. As a result hey will not release it to the customer. If this happens to you find another provider. The purchase or rental of a solar power system is a significant decision and the financial analysis surrounding this decision is important to ensure that you gain the maximum savings from the system. Interest rates, fees, maintenance, installation costs, usage, power costs etc must all be factored into the calculations to ensure that the system is designed to maximize the customer’s return on investment. There are many solar system calculators available and it may even be to your benefit to try several to compare answers. 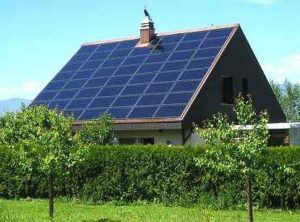 Also consider whether you should buy or rent a solar power system. If you buy do you need to borrow the money or do you have the cash available to make this purchase. All of these factors can impact your decision. You have had a solar site assessment completed and you have completed your solar power business plan which should tell you whether it makes sense or not to go ahead with your installation. However there are two more major factor that should be included in your overall business plan. One is the subject of this post, Solar System management and the other is Solar System warranty program and maintenance, which we will discuss in the next post. 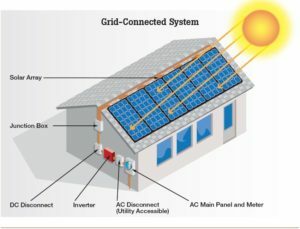 The system includes the panels on your roof, the inverters they are connected to and the electrical system connection in your area. One of the most important elements in this system is the measurement of the amount of electricity your system is consuming or providing to the network. All of these components must be managed on your behalf over the life of the contract that you have signed or will sign with your solar system provider. Someone with the technical know how must deal with any problems that arise over the life of the system. Much like your car, which is very complex these days, you need a skilled technician to maintain it. What is Solar System Management? The first part of this is negotiating the rate that you will sell the electricity you generate back into the grid. It varies by location and utility that you are dealing with. The rate per kilowatt is important as are the term of the contract and the rate that your initial rate will increase or decrease over the years. If you are signing a long term contract, then you want to make sure that your are protected for inflation. The rates will vary year over year and of course each utility will have a different rate they will initially offer. In addition in some areas, government subsidies play a large part in the economics of these installations. Some governments have also suddenly stopped providing these subsidies leaving the investors and owners with a loss based on the cost and the lower revenue. Potential investors should complete sensitivity studies taking into account changes in the costs as well as changes in the revenue for both increases as well as decreases. It is important to pay attention to this and to ensure you remain protected over the years of your contract. The second part of the solar system management activity is monitoring your system. It is important to understand that your system is running optimally at all times and also when one component stops working or is not producing it’s optimum amount of electricity. If one component stops working, you want to know about it immediately so that it can be corrected and not damage other components. As consumers we do not have the time to watch this all of the time and probably we would not understand what the system was telling us anyway. Are there automated systems that report to the consumer or to the technical monitoring company when a system is not running optimally. How much does this cost and how reliable are the monitoring systems as well as the company that is providing the service. This should be part of your contract with the company doing the installation so that it is worry free and trouble free. The last thing you want to be doing is your own monitoring! It is in your interest as well as your provider’s interest to ensure that the system is generating electricity and feeding it into the grid so that you both get paid over the life of the contract. There will be literally hundreds of different contracts available across the continent. Consumers need to protect themselves by ensuring they actually read and understand these contracts. What are your responsibilities and what are the responsibilities of your provider. What happens when you move? What happens if the company you are dealing with goes bankrupt? What rates are you guaranteed? Is inflation included? You probably want to have a lawyer review the contract, a lawyer who is familiar with solar systems and the peculiar idiosyncrasies of these contracts. They are complex and it is worth taking the time to understand them! This is a complex project and consumers should pay attention to this project in the same manner they would any other major project around their home. The solar power generation business is going through a shakedown at the time of writing this post, which is going to have a huge impact on the prices that consumers pay for solar panels and also on the number of opportunities that are available for consumers to find products and solution to help them generate their own electrical power. The big companies want to keep power generation and distribution for themselves and avoid getting this into the hands of the consumer. Prices for solar panels dropped while China was dumping on the market. Consumers in general are concerned about the complexities of dealing with panels and batteries etc. Back when oil prices reached their highs in 2008, many people who are promoting green energy and independence from oil pushed hard for the solar power business. The result was a number of companies heavily funded by investors with promises of subsidies from various governments. Their business model worked at the time as long as oil remained high, the subsidies stayed in place and demand for electricity continued to grow. Three years later in 2011, the perfect storm hit and it was devastating to many companies that did not have a sound business model in place. First the economy tanked and we can debate the reasons for this, but the net result was that demand for electrical power fell and has not caught up yet with demand pre 2008. Secondly, as the economy went south, government revenues also fell, which meant a variety of belt tightening measures had to be put in place. One of the first things to go were the subsidies that the governments promised. Now companies who depended on this revenue found themselves cash poor and unable to meet their commitments. Oil also fell which pleased the consumer and is helping industry, however it takes away the momentum and support needed by the green activists to continue pushing solar power generation. Several major companies who produce power via solar panels as well as solar panel manufacturers have gone bankrupt as a result. While the events that triggered this collapse are one of a kind, we hope, this stage of a new industry is pretty typical. There are always many companies entering a new industry hoping to make it to the big time. At some point there is always a shake out that is triggered by some market or world event that causes many of the underfunded or poorly managed companies to fail, leaving the stronger ones to survive. As we indicated this is pretty typical in the life cycle of a new industry. The next couple of years will be difficult for the industry as prices fluctuate and demand cycles, however those who manage cash flow tightly and maintain a sound business approach should survive. They need to treat government subsidies, if any are available as icing on the cake. For the short term, it means that the cost of purchasing solar panels is going to decrease even more than it already has. With inventories of panels remaining high, prices are falling as corporations cancel their orders for panels. The price of electrical energy has not fallen to any extent so the business case for many consumers and corporations alike has just improved with a much shorter payback for adopting a solar power solution involving solar panels. Oil will increase again in the next year or so and interest in alternate forms of power generation will increase as consumers spend more on oil related products. Once the inventory of solar panels and related products is used up, prices will again begin to rise. the message in this story is constantly review your business case with up to date numbers to ensure that you are making the right decision based on accurate numbers. We are looking for a spread sheet model that compares the cost of installing a solar panel systems for a consumer application, generating power to be used in the home. The excess power would be fed back into the grid providing additional savings to the consumer. We have not seen an economic model as of yet and may build our own to help ourselves as well as readers make accurate decisions regarding this business decision. In our next post we will start to list some of the variables that need to be included to help assess the economics of this decision. Your input would be invaluable. For more posts about solar power business models, click here.